Three Deaf people explain how going to their local Deaf club changed their lives. Deaf clubs in Liverpool, Newcastle and Walsall are shown, along with their members. This programme also looks at the problems facing Deaf clubs, which are seen as one of the key places that Deaf people can discover Deaf culture, sign language and Deaf identity. In the latest in the Found series of documentaries, three Deaf people explain how sport led to them finding a new life in the Deaf community. Featuring a Deaf badminton player, a golfer and a footballer. 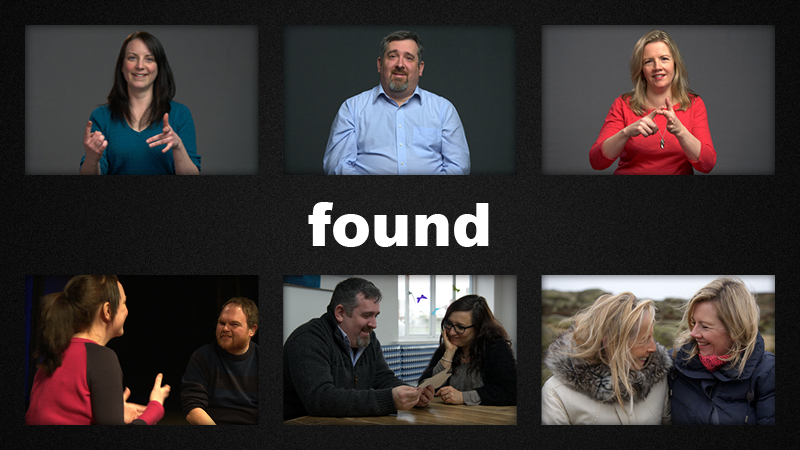 In the latest in the Found series of documentaries, three Deaf people explain how falling in love led to finding a new way of life in the Deaf community. Three Deaf people tell their personal stories about coming to the UK and discovering their Deaf identity and a new community in the UK. Festival screenings: Together Film Festival (London) 2016. Three Deaf people tell their personal stories about their Deaf identity, the day they first discovered sign language and with it, a whole new community. Awards: Award of Merit, Documentary Short, Accolade Film Festival, 2016. Festival screenings: Ilkley Literature Festival 2015, New Zealand Deaf Short Film Festival 2015, Together Disability Film Festival (London) 2015, Picture This Disability Film Festival 2016 (Canada), Argentina International Deaf Cinema Festival 2016. I directed these six clips which were released just before the broadcast of four new episodes of this sitcom. The clips gave the audience a chance to meet the five main actors in Small World, as well as watch a clip explaining how it is written in BSL, featuring the creators and director of the series. Watch the clips on one page by clicking here. 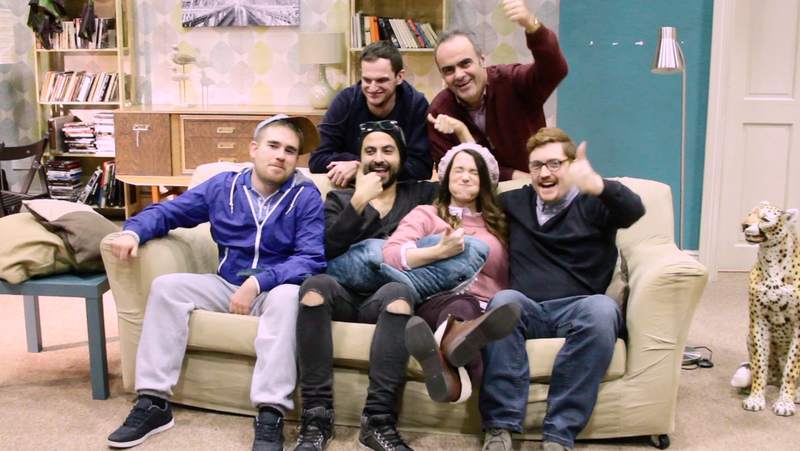 Find out all about the making of the world’s first Deaf sitcom, performed in BSL, in this short film, which I self-shot and edited to a musical soundrack. We see the actors and crew in rehearsals and filming on set, where they talk about improvising the script. Watch this film by clicking here.